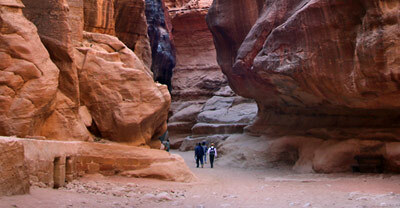 Bab as-Siq, the “Gate of the Siq,” is an 800-meter-long gravel pathway from the general Petra archaeological site entrance to the famous rocky cleft called the Siq. 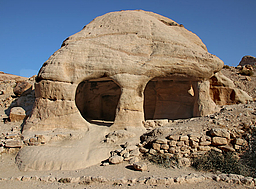 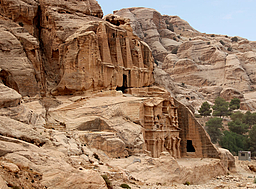 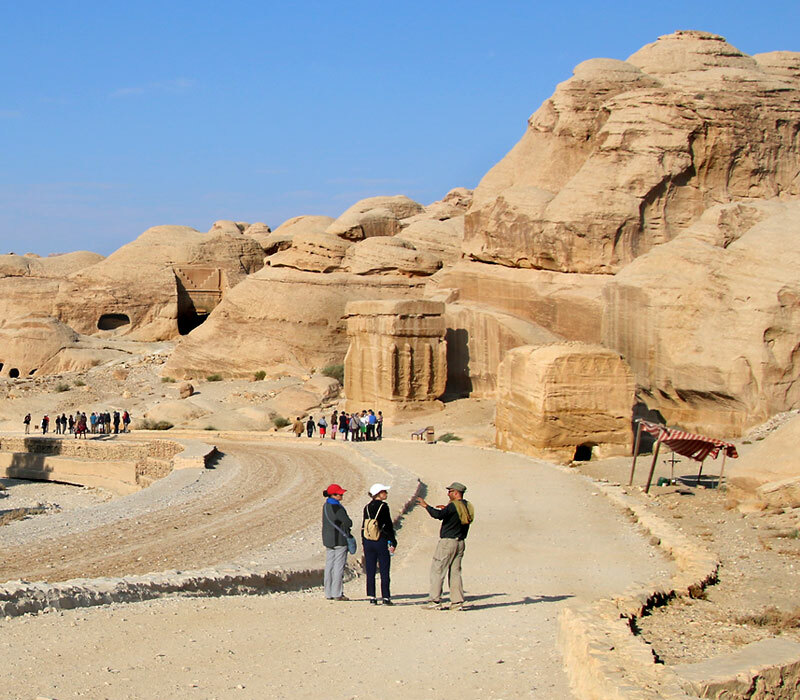 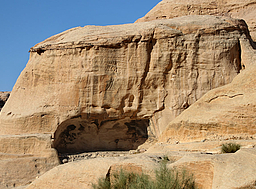 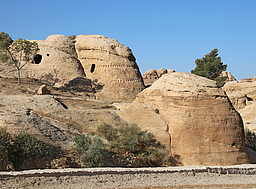 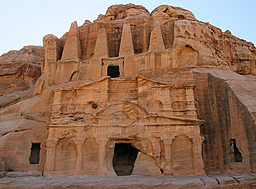 On the way along Wadi Musa, divided for pedestrians and horses, you can already see many examples of the Nabataeans’ extraordinary carving craftsmanship, including sacred blocks, tombs, caves, niches, and inscriptions. 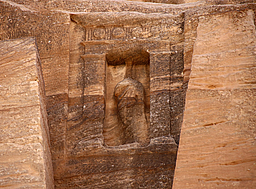 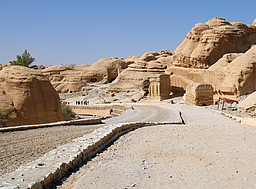 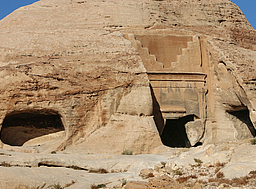 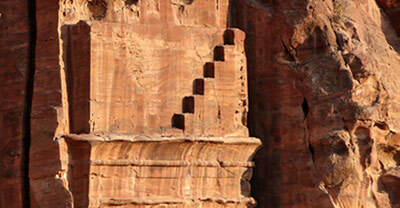 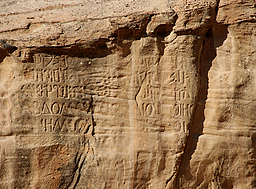 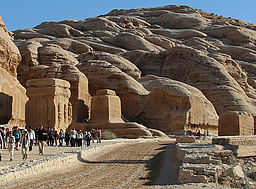 Sights and highlights include: the Djinn or God blocks, the oldest funerary markers in Petra; the Obelisk Tomb, a major Nabataean monument from the 1st century AD with four pyramidal obelisks and a carved figure on the façade; the Triclinium right below, a chamber for holding annual banquets in honour of the dead; the dam and tunnel right before the Siq to divert the floodwaters of Wadi Musa.